Is your bathroom looking dated and far from the home spa you’d like it to be? If you're adding a new bathroom as part of an extension or loft conversion or sectioning off part of a bedroom for an en suite, it's helpful to arm yourself with some basic plumbing knowledge. 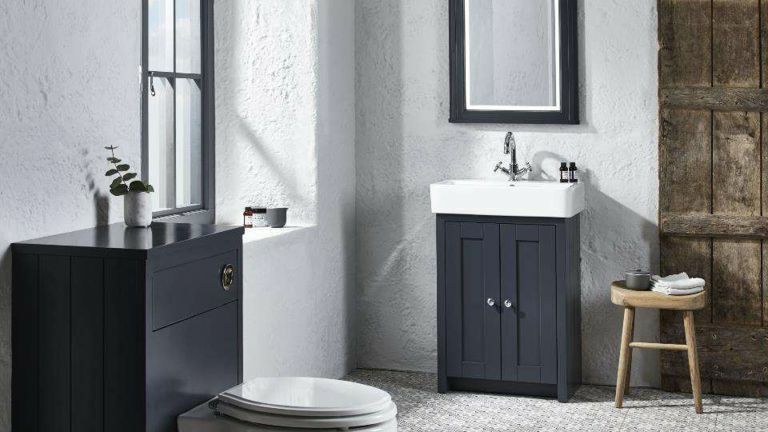 Even if you're designing a bathroom under the guidance of a bathroom designer, architect or plumber, a basic knowledge base will help you in determining what's achievable and where the costs lie. Here's the lowdown. Which hot water system does your bathroom have? It’s useful to know what sort of hot water system you have, as this can affect the choice of bathroom fittings. If your cold water comes from a storage tank in the loft with a cylinder for the hot water (usually in an airing cupboard), you have a low pressure gravity-fed system. It’s the most common domestic water system. Gravity-fed water from the cistern keeps the system under pressure, so the higher the cistern is above a shower, the more pressure will be created. In an unvented hot water system cold water from the rising main supplies a cylinder. The cylinder is designed to cope with mains pressure water and the water is heated via an immersion heater or heating coil. If the cold taps are fed from the rising main, a cold water tank in the loft isn’t required. The flow rate and pressure of the water should be high. Alternatively, you may have a system where hot water is created instantaneously by a combination boiler and there is neither a cistern in the loft nor hot water cylinder for storage. The pressure of the water is high because the system is mains fed. When you’re changing bathroom fittings like tap mixers and the shower, it’s important to pick one that works with the plumbing system. Traditional gravity-fed systems may not provide sufficient pressure for some. Which showers work with which hot water system? The hot water system in your home will determine which shower types are possible to fit. Have a combination boiler? Choose between mixer showers or electric in your new bathroom. You can’t connect a pump to a combi boiler to boost the flow rate of a mixer shower, though. A pump is also a no-go when the cold water supply comes straight from the mains. Hot water stored in a cylinder in your home? A mixer shower, including with a pump to increase flow rate, can be fitted, or a power shower or electric shower. Bear in mind, though, that the installation of a pump might require a larger hot water cylinder to keep up with the flow of water. Use our guides to find the best shower head for low water pressure or the best high-pressure shower head. What about waste water from a bathroom? Waste water from the bathroom goes into a large vertical pipe or pipes, and then into the main underground drainage system. In more modern homes, there’s a single pipe called a soil stack; homes built before the mid 1960s probably have one pipe for the soil and one for the waste water. All upstairs basins, baths, showers and toilets run into the soil stack in a modern system. In the older version, WCs run into a soil pipe on the outside wall, and a smaller pipe drains waste water. Our guide to choosing a toilet provides a helpful starting point. Ideally, any new bathroom should be connected to the soil pipe. However, if you’re fitting one in a location that doesn’t make this possible, a flexible small-bore waste pipe and pump with macerator can make the arrangement viable. This will add to costs, though, so factor it into calculations, or plan to put the bathroom elsewhere. Ever wondered about all those bends in the waste pipes of sinks, basins and WCs? If a fitting discharges waste water, it will have a trap to allow the seal of water that stops the smell of drains coming into your bathroom. What happens to pipework in new or revamped bathrooms? Whether you’re designing a new bathroom or refitting an old one, the pipework that brings hot and cold supplies into the room and leads waste away from the room should be concealed for a neat and easy-to-clean room. Choose plastic pipework because it’s flexible and goes around corners without joints. Swapping a new suite for old in the same position is the most economical way to complete a bathroom makeover. Re-arranging the room? The supply pipes will need to be extended and the waste pipe re-routed, too. What’s different about plumbing in a loft bathroom? If you’re converting the loft and a new bathroom is part of the space, bear in mind that it's far simpler to connect to the existing soil pipes for bathrooms on other floors than to add in a new one. If not, you’ll need to factor in the location of outside drains – a plumber can help. Can’t connect to the soil pipe? Flexible small bore waste pipes and a pumped unit with macerator will allow the bathroom to go anywhere in the loft. Hot and cold water supplies can be branched from a bathroom on the floor below. Any header tank will need to be higher than taps or shower head to create sufficient pressure.